Is there any paperwork or document for the mechanical systems of 993911 Mono Adjala Townline, Adjala Tosorontio, Ontario? I need more information about the property at 993911 Mono Adjala Townline, Adjala Tosorontio, Ontario. How ist the neighborhood, location and nearby amenities for 993911 Mono Adjala Townline, Adjala Tosorontio, Ontario? I have questions about the roof, foundation, insulations and mechanical issues of 993911 Mono Adjala Townline, Adjala Tosorontio, Ontario? I need more information about property details. What's wrong with this house? Is this a short sale? Is there any maintenance for 993911 Mono Adjala Townline, Adjala Tosorontio, Ontario? What is this property worth in today's market? What are "closing costs", and how much? What steps should I take when looking for a home loan? What price home can I afford? Is my credit good enough to buy this house? What are the best mortgage options for me? How flexible is the seller on the asking price? How low can I consider offering for 993911 Mono Adjala Townline, Adjala Tosorontio, Ontario? On Paved Mono-Adjala Townline North Of Highway 9 And South Of Hockley Village, This Gorgeous Private, Forested 25-Acre Parcel Has Frontage Of 495 Feet X 2200 Feet, A Pond (Which Was Approved By Nottawasaga Valley Conservation), A Roadway In To An Approximately 1-Acre Cleared Building Site. New Survey 2010. 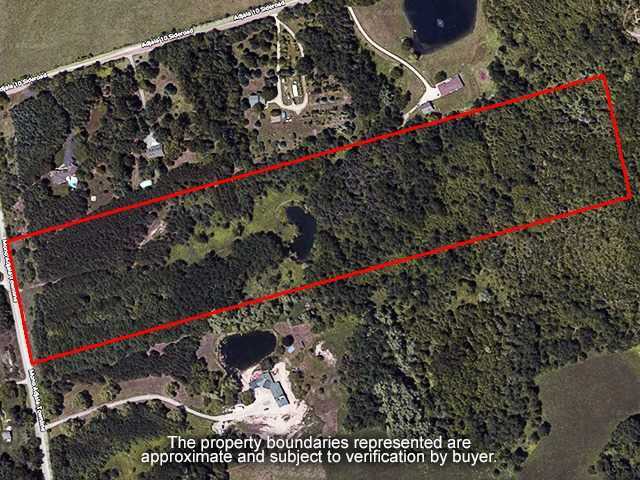 This Is A Spectacular Area And Property For Building Your Dream Home. 15 Mins To Orangeville Amenities. Interim Tax Bill For Half Year Is $1,304.22. Please Do Not Go Onto Property Without An Appointment. Use eHomz search to narrow down the properties by type, price, number of bedrooms, bathrooms, garage, parking, basement, size, or other keywords to find the target home. Also you can explore more records in different categories such as Adjala Tosorontio condos or houses for sale in Adjala Tosorontio. Adjala Tosorontio is home to 85 neighbourhoods and communities accommodating people who are interested either in Adjala Tosorontio Rentals to rent Houses for sale in Adjala Tosorontio to own their dream homes. If you're looking for Condo apartments for rent in Adjala Tosorontio or houses for rent in Toronto, we have you covered.